Flashy buckskin pinto ewe with strong growth and milk EBVs, moderate on prolificacy. Her dam is novel to NSIP so data behind her is less accurate; but she’s been a good mother here in her two years so far. A blend of some local genetics with a paternal granddam of a Birch Cove ewe from Missouri. Tons of color in this pedigree, including a lot with flashy markings. EBVs from the 2018 lamb crop 120 day weight data. Photo taken in July. 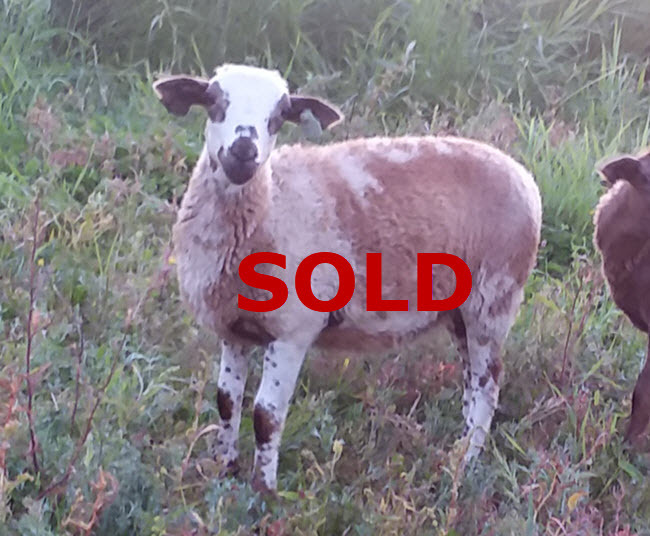 This lamb is weaned and ready to go to a new home today.